Congratulations on getting engaged! Now lets talk FLOWERS!! 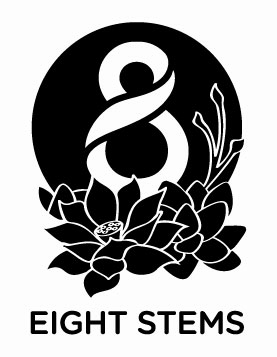 At Eight Stems we take on your special event with extreme dedication as we provide our sole attention to your wedding needs. We will listen and provide you with the right advice to ensure that you are confident with us and the flower decisions you make. We encourage you to get inspired and bring along ideas and pictures of what you visualise your wedding to be. APPOINTMENTS ONLY Please call us to book in your free consultation with our wedding specialist to ensure we give you our 100% attention and expertise. Let's have some fun and be creative. Here at Eight Stems we offer a series of workshops suited to all occasions including Hen's, Birthday Parties, and Corporate Events. We can hold the workshop in store at Eight Stems (maximum capacity is 12 people per group) or we can come to you (maximum group booking 25 people). Call us now to enquire and book your workshops. We love the look of soft, delicate and dainty style crowns. We will teach you the basic technique in creating your first floral headpiece. A grazing station and drinks (yes sparkling wine is included) will be provided in this workshop. A short, fun and simple workshop! This is definitely suited to all beginners including the kids. Our signature succulent boat garden will not disappoint. They are designed to be long lasting without much maintenance. We will guide you through all the steps in creating your first succulent boat garden, We will also provide you with clear printed instructions to help maximise your terrariums life.​ Sorry no nibbles provided in this workshop. We have designed and built a simple Wooden Arbour for your big event. The arbour is portable and can easily fit in the front seat of your car! It stands 2.4m high and is approx 1.5m wide. Please contact us for further information. PIMP UP YOUR SPACE!!! With our creative minds and hands we can arrange a Floral Display to suit your designated space. We understand the importance of giving your clients a strong first impression and we are confident that we can create that. If you would like to set up a corporate account please contact us. We can always make a site visit to help us understand and visualise what would work best for your space.